Thanks for visiting Meath’s favorite independent boiler experts, we have been providing boiler servicing in Meath for the past 30 years now. We have successfully survived two recessions and believe it is due to 3 key facts, our prices, the high standard of workmanship and our outstanding customer service. We work with a high degree of professionalism, so firstly we would like to warn you about some companies without scruples that try to offer boiler servicing for as little a €39 through city deals or Groupon. Please check the reviews here before you waste your money and time. You can spot these a mile off as they also advertise power flushing for €69. Any professional central heting expert will tell you it takes 4-5 hours to power flush a system. We charge €400 + V.A.T. in comparison to Bord Gais who quote €599 + V.A.T. If you want to find out more information on power flushing please click here to read our article. Also please note the average time for a boiler service is around an hour. We always do a thorough job and it will be carried out by a fully qualified, RGI accredited boiler servicing technician. On completion an RGI certificate of compliance will be issued, valid for one year. As a well established, highly respected company our client portfolio is large and diversified. It includes a large well known insurance company, food and beverages chains a number of letting agents as well as landlords and homeowners. The one thing they all have in common is they get reliability, high standards of workmanship and excellent customer service. Please click on any of the links below to take you to an appropriate page. 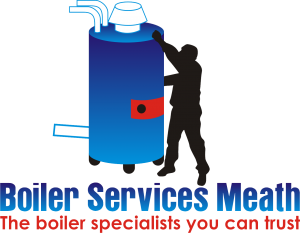 Why choose Boiler services Meath for your boiler servicing, repair and installation? We are a team of premier industry experts who specialize in working with boilers. Try to imagine how many different models and types of boilers that have been manufactured in the last 30 years. The choice is yours for you can hire a regular plumber who does a bit of everything or for less or the same cash you can hire an expert. Many of our team have over 20 years experience within the boiler specialist niche. We are yet to find a boiler we haven’t been able to efficiently service, replace or repair where financially viable. All of our boiler technicians are fully qualified and R.G.I. accredited plumbers made the decision to become boiler specialists. All of our work carries our 1 year standard parts and labor warranty. For extra peace of assurance we remind our clients we carry full public and professional indemnity insurance. We are 100% committed on providing courteous and polite service with the highest quality workmanship. On completion of boiler servicing and installations we sign off by issuing an R.G.I. certificate of compliance. We on call 24/7-365, this includes weekends, early mornings and evenings. If booked in advance this service carries no extra charge. If you need your boiler servicing in Meath call the professionals today on 046-9011255. Our prices at present range between €55-€85 depending on the type and model. This is a very favorably fee compared to Bord Gais energy who charge €99 +V.A.T.